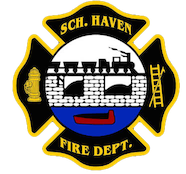 October 31, 2008- At 12:45 Chief 720 was sent to 439 Hess Street, Schuylkill Haven Boro, for a smoke investigation. On arrival, he asked to have stations 1 & 2 dispatched to assist him at the scene do to a oil burner malfunction. Crews ventilated the house and were soon placed available.